Don’t be fooled by inflated pricing and aftermarket hitches that are supposed to be “universal”. How much combined weight (trailer and payload) will it need to carry? What style(s) will fit my vehicle? Which designs are engineered specifically for my vehicle? We use the most trusted name in trailer hitches, Draw-Tite! Draw-Tite offers a wide range of designs and specialized equipment that is unmatched in the industry. When it comes to engineering design, Draw-Tite’s is second to none. Innovative low profile designs compliment the rear contours and aerodynamic styling of today’s vehicles. Custom designed hitches are specific to vehicle type and model year for simple installation and superior fit with a minimum of bumper cutting or drilling. 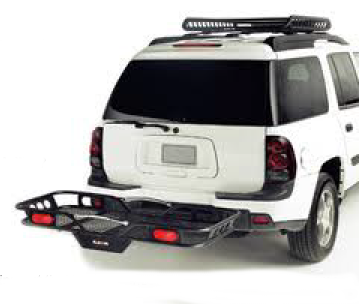 Removable drawbars and ball mounts enhance the appearance of the vehicle when not in use. All our hitches meet or exceed V5 CSA and SAE J684 standards and are backed by a nationwide limited national warranty. Draw-Tite has been investing continuously in researching and developing the highest-performing electrical components. We now offer the highest-quality products and broadest coverage of any manufacturer in the marketplace. Our Manufacturer works directly with the original equipment manufacturers to design connectors and OEM replacement harnesses to make your installation trouble-free. 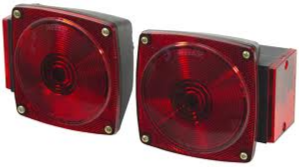 All of our taillight converters including 4, 5, and 7-way connectors and adapters are rigorously tested to ensure your trailer is safe, secure and trouble free. Choose Trev’s Automotive for all of your electrical wiring needs when it comes to ensuring the compatibility, safety, and performance of your trailer equipment. 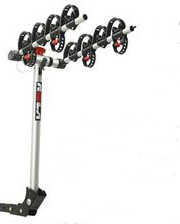 Cargo Management/Accessories; we carry a full line of cargo equipment from bike and cargo carriers to tie downs and most accessories.